This coming Saturday marks the arrival of another edition of the 50 States Ride. While this ride sort of freaked me out the first time I did it, it’s since grown on me and now it’s a much-anticipated fall event. Washington Area Bicycling Association (WABA), our local cycling advocacy group, organizes the ride. My entry fee supports WABA’s good work and in exchange I get a tour through all four quadrants and 50 state streets in the District with 500 other people. The total 50 States route is around 65 miles. My plan is to not ride the full route. How about that for ambition? Rather, I’ll be doing the “More than 25, but fewer than 50 States Ride,” depending on where and how far I feel like riding. Last year, I pedaled over 40 of the 50 state streets and completed slightly more than 50 miles. It feels good to accomplish the full route and all 50 state streets, but I found myself pulling out my hair at some of the more congested downtown areas. Since I ride those fairly frequently anyway, it doesn’t break my heart to skip them during the 50 States Ride. Stop for coffee along the way. Peregrine. Chinatown Coffee. Hmm, where else should I go? Last year I chose my Rivendell Quickbeam for the ride. A single speed was ideal for me then, as there was no hill too tough for the Quickbeam, and the 32 mm tires set up well for the sometimes bumpy city streets. This year I’ve been nagged by some knee pain so I will be riding a geared bike, as a single speed seems unwise. Most likely I’ll ride my Velo Orange this time around. 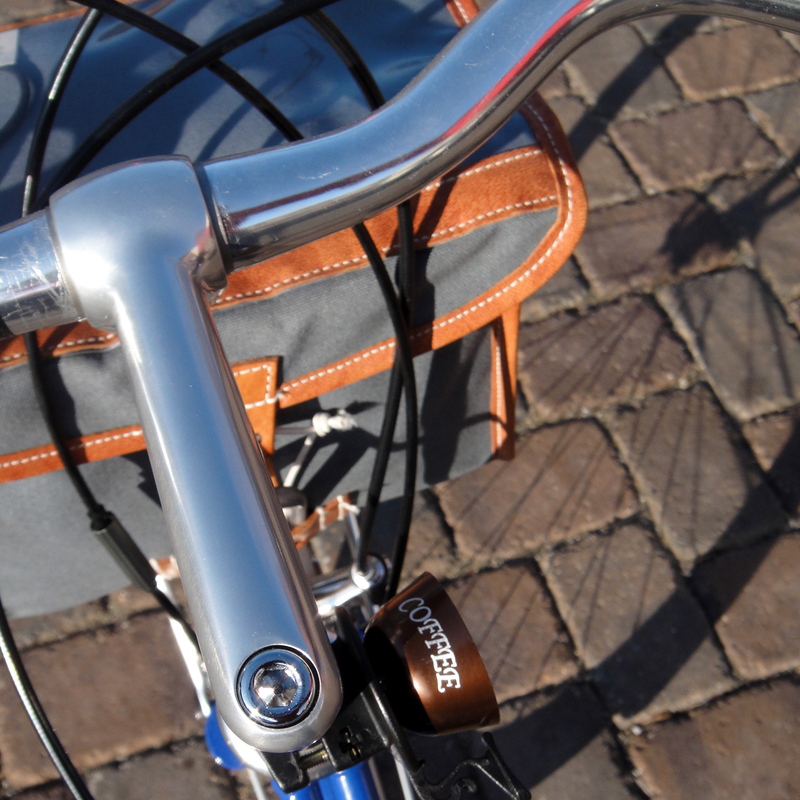 The Velo Orange is a mixte that, like the Quickbeam, is also set up with 32 mm tires and well-suited to urban riding. 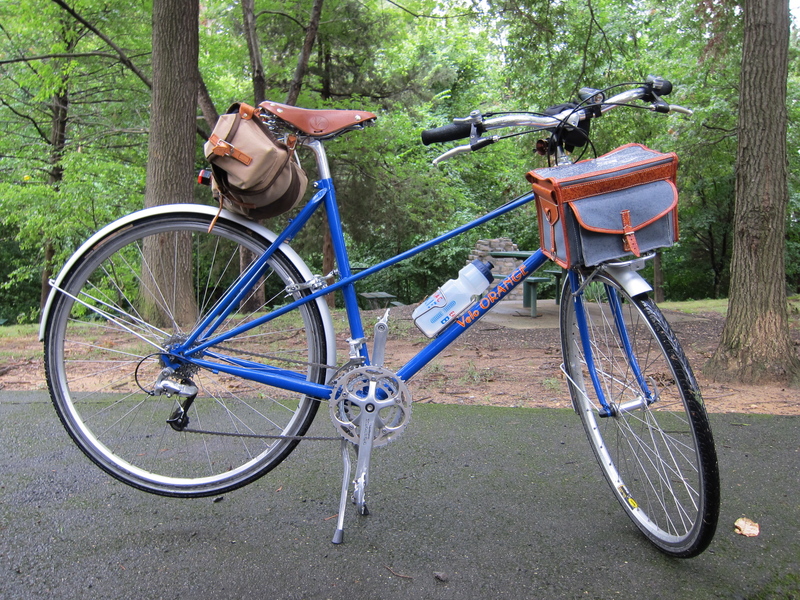 My posture on the mixte is more upright, but I have found both bikes to be comfortable. I’ll let you know for sure after the ride is over. 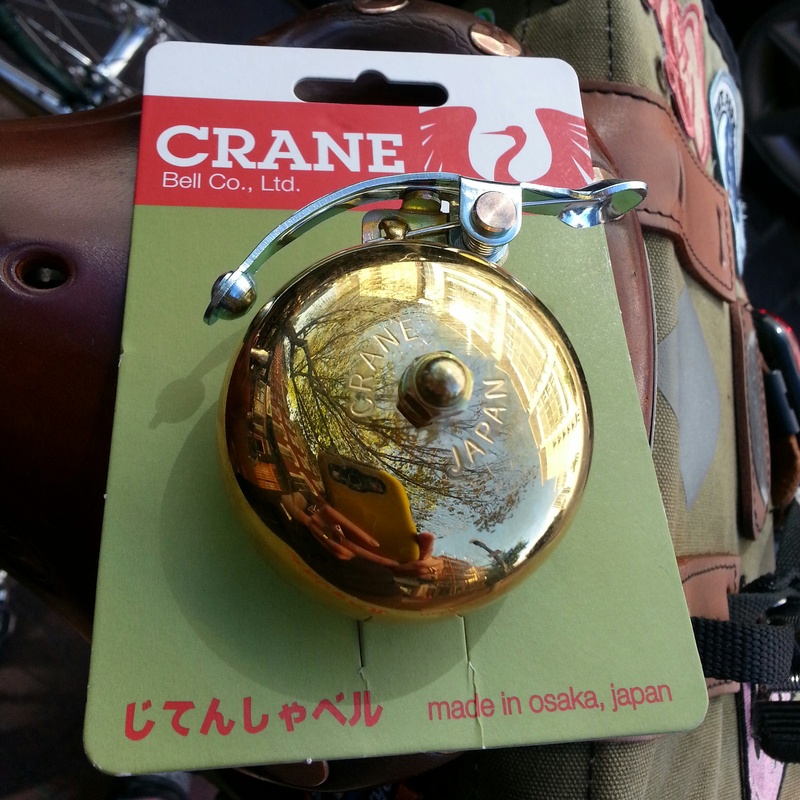 Over the weekend, I went to BicycleSPACE and picked out a new Crane bell for the bike. My mixte is set up with a bell, but it’s the worst bell ever. The bell ding is the equivalent of a loud whisper. Useless. Why did I buy the bell in the first place? Because it was in the shape of a coffee cup and I thought it was cute. So much for that approach. Coffee bell on the Velo Orange. Possibly the worst bell ever. In contrast, the brass Crane bell I purchased makes a beautiful yet stark sound that clearly announces a bicycle. It’s beautiful, but functional, too. With that addition, the Velo Orange is ready to take on the 50 States Ride. Are you riding, too? If so, I’ll see you there! Heh. Only in DC can one tour all “50 States” in 65 miles. Enjoy & b safe. Look forward to the ride report. Yeah, AND we’re not even a state, yet you can ride all 50 states!